ACSA was formed by sailors who loved to race. The Club racing (Red Cup Series) and the three Regattas we sponsor each year are still important to who we are. For the novice or experienced sailor, racing is a great way to learn more about sailing. It will help you hone your skills and confidence while providing you with the excitement of competition. Volunteering for the Regatta Race Committee and operating the Mark Boats are also a great way to learn more about this fantastic sport. 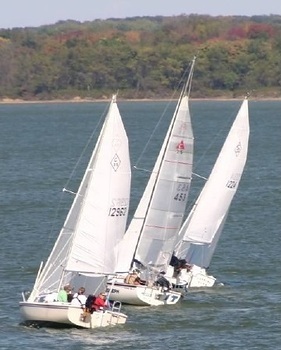 ACSA sponsors three open regattas during the year. 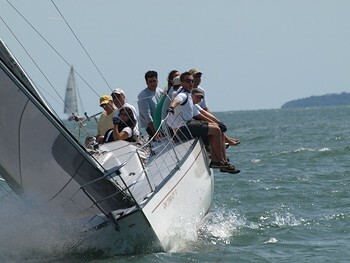 They are the Ice Breaker in mid April, May Cup in late May and the Old Fox Regatta to round out the season in October. Please see the main calender for the full racing schedule. If you have any questions, please contact our Vice Commodore.